Cider apple varieties tend to remain in use primarily in their area of origin but Michelin was imported to England in the 19th century and as a result has become popular in English-speaking cider regions as well. 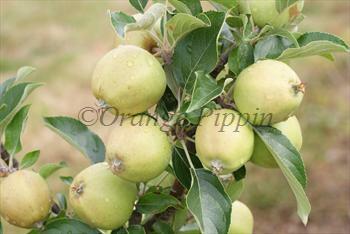 Please fill in the details below and we will let you know when Michelin cider apple trees are back in stock. Michelin is in flowering group 4. Michelin is partially self-fertile, but fruiting will be improved if there is a compatible tree of a different variety nearby. Like all cider-apple varieties it can also be pollinated by most other apple varieties or crab-apples flowering at the same time. A reliable annual cropper, easy to grow. It is usually considered self-sterile but in practice seems to be partially self-fertile. Normandy, France - 18th century.